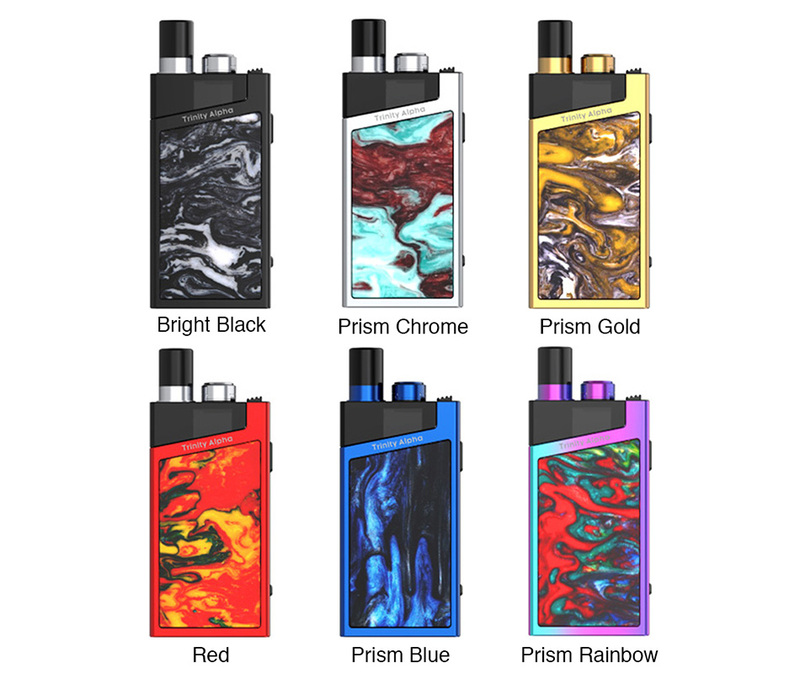 The SMOK Trinity Alpha Pod Kit is the latest resin kit for starters. It powered by an inbuilt 1000mAh battery. The SMOK Trinity Alpha Pod is compatible with Nord coils, so you will enjoy an amazing vaping experience with mesh coil and MTL coil. The SMOK Trinity Alpha adopts innovative push-up-type filling design, making refill easier too. The Trinity Alpha Pod Kit features three power levels, Soft/Norm/Hard, to meet your different vaping needs. Smok G-PRIV2 Luxe Edition India is an advanced version of G-PRIV, a new touch-screen kit from Smok. The SMOK Vape Pen 22 Light Edition is a new version of Vape Pen 22. It is a pen style vaping kit with 22mm diameter and 1650mAh battery. Together with the unique LED and Vape Pen 22 Light Edition Cores, it will bring you an amazing vaping experience. The SMOK Stick Prince kit comes with a 3000mAh Stick Prince battery and a TFV12 Prince tank. They’re an ideal combination for massive vapor and long time vaping.